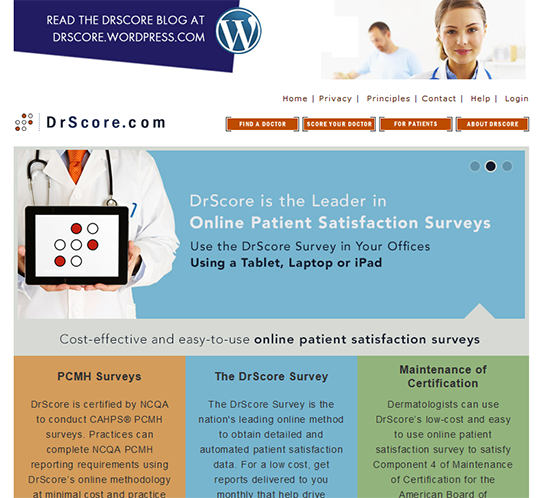 DrScore.com website is a tool for measuring patient satisfaction. Patients go to the site to rate their satisfaction. Patients can also use the site to search the ratings of other physicians. Physicians can view summaries of their ratings through the site, or receive more detailed reports that allow them to “drill down” into the data to provide opportunities to improve service.